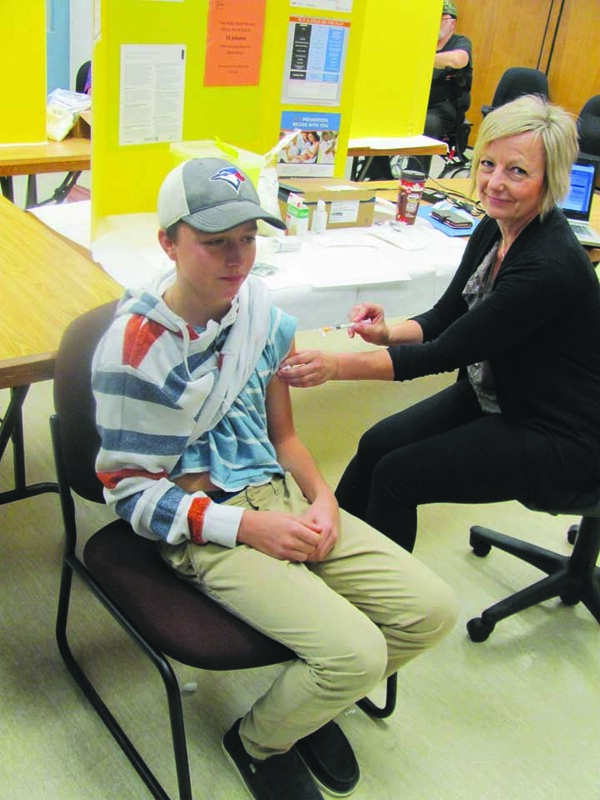 That time of year again: Calvin Feader gets his flu shot Wednesday morning from health nurse Leah Smith. The first walk-in clinic for Kindersley took place yesterday in the boardroom at the Kindersley & District Health Centre. The official launch of the immunization campaign was Oct. 22. People are encouraged to get the flu shot to protect themselves and others.